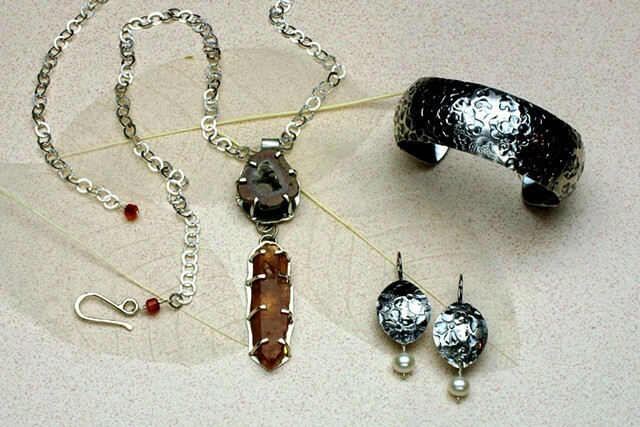 I am pleased to share my handcrafted jewelry with you. Each of my pieces is a one of a kind. I look for the finest and most unusual gemstone beads, pearls and vintage elements to integrate with my own silver work, striving to create distinctive and timeless pieces. Thank you to all my loyal and new customers for making it such a fun weekend and great success. It is my pleasure to donate a portion of all sales to Sara's Smiles, a local organization supporting children battling cancer. Happy Holidays!!! Please feel free to contact me if you are looking for a gift or something special for yourself. I am happy to arrange a special showing.